Warner Bros. and Legendary Pictures have released the first official trailer from Michael Dougherty's Godzilla: King Of The Monsters - and it looks to be one earthshaking sequel! Thru trailer sees Vera Farmiga's Dr. Emma Russell warning the world that the Titans have arisen to cure the world of mankind's arrogance - these of course being Godzilla and a few friends. 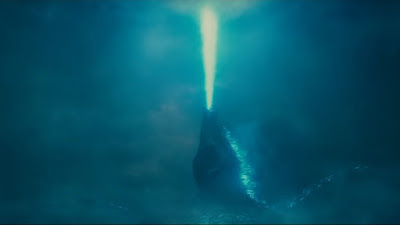 Starring Kyle Chandler, Vera Farmiga, Millie Bobby Brown, Ken Watanabe and Sally Hawkins, Godzilla: King Of The Monsters roars into theatres May 2019.